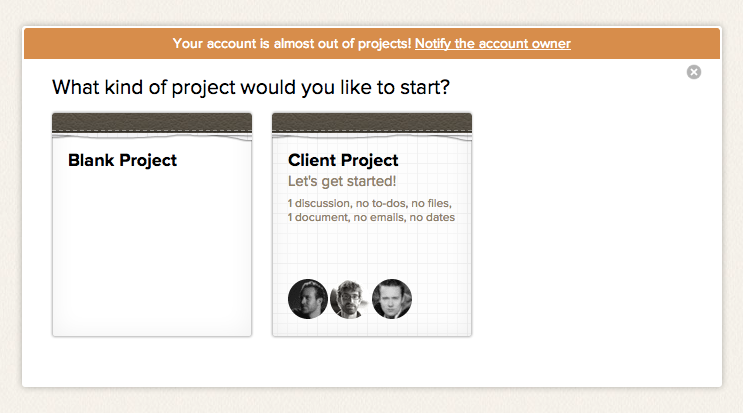 If you make heavy use of your Basecamp account, you might run up against plan limits. The account owner can quickly solve this by upgrading to the next plan level. Alternately, archive some projects to free up a spot. 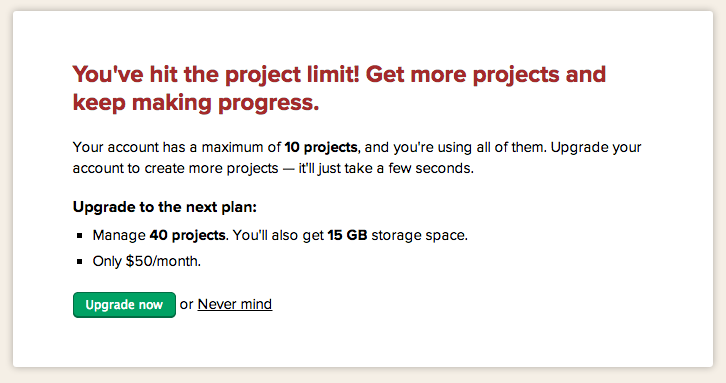 Archived projects don't count against your plan limit, but the files in them do count against the storage limit. 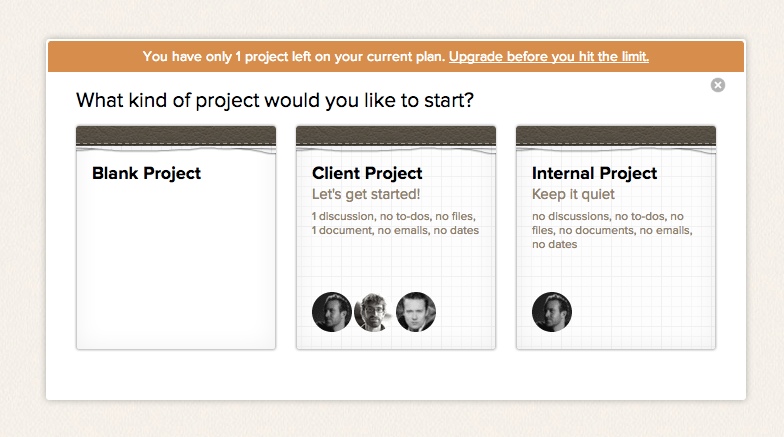 When you're out of storage, Basecamp won't let anyone upload a new file. The account owner can upgrade to the next plan level to increase the storage allotment, add more file storage, or you can delete some unneeded files to free space. Learn how to change your plan.